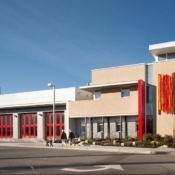 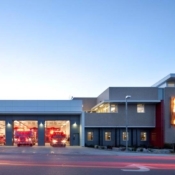 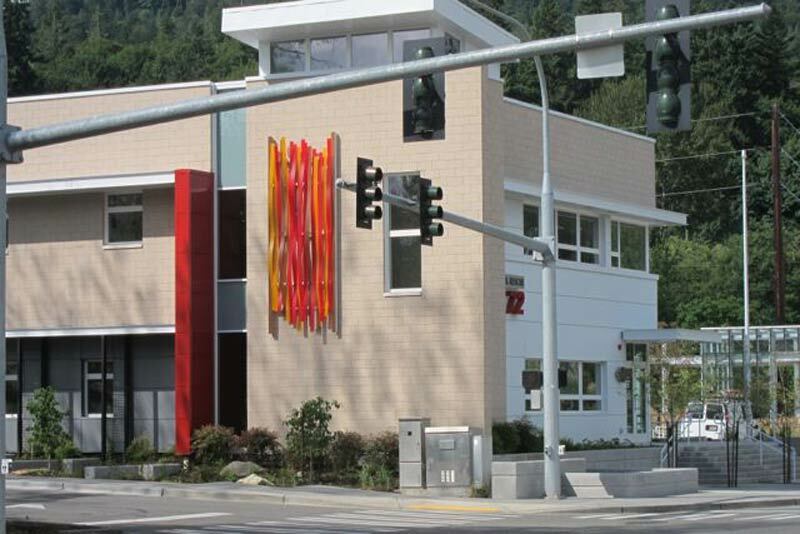 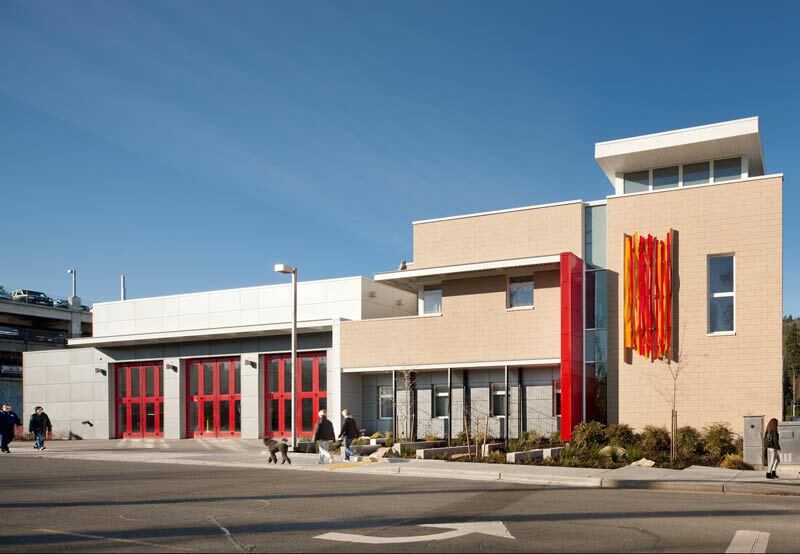 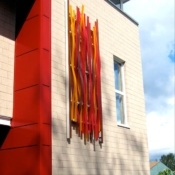 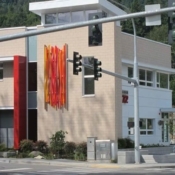 Solar-powered artwork for Platinum LEED fire station located in Issaquah, WA. 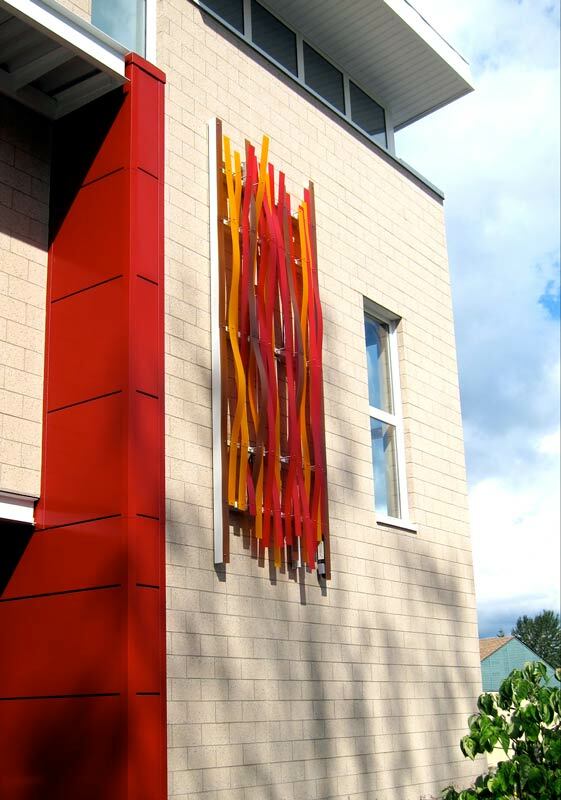 Designed around the theme of order and chaos, this work is constructed of recycled material, in keeping with the green design of the building. 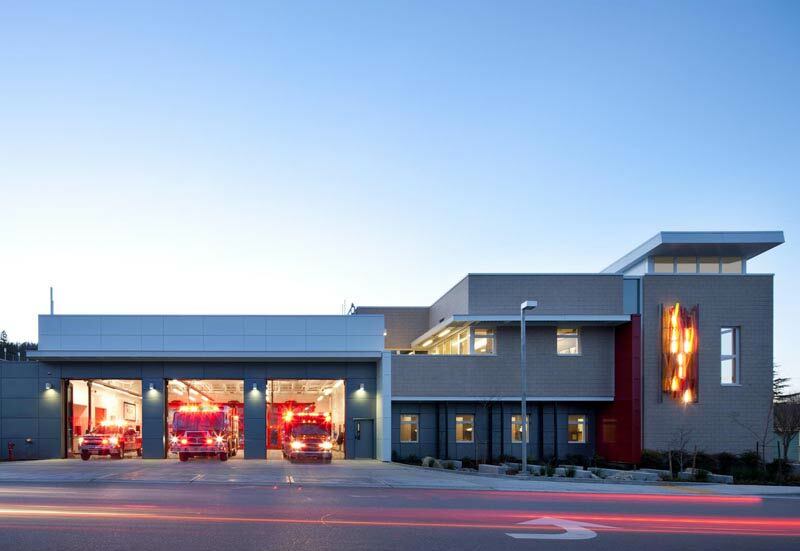 Lit at night.